Head coach of Deportivo La Coruna, Clarence Seedorf says new signing Sulley Muntari will need time to settle at the club. The former AC Milan has been given a deal by the La Liga until the end of the season after a successful trial. The Ghanaian international will not be put under pressure having stayed out of action for some time. The midfield dynamo before joining Deportivo had been without a club after leaving Italian side Pescara. And the former Holland international says Muntari won’t be rushed into the team. “He [Muntari] will need time to get to his best form,” Seedorf, teammates with Muntari during his time at AC Milan, told pressmen. “For this, we will try to program how to do things better for him and the team. “We are happy that an agreement has been reached with the club. “He is very motivated, he has integrated into the group [and] the group has embraced him, which is very important, he has fitted in. “He is waiting to get all his papers. He will be just one more player; he is not the saviour. 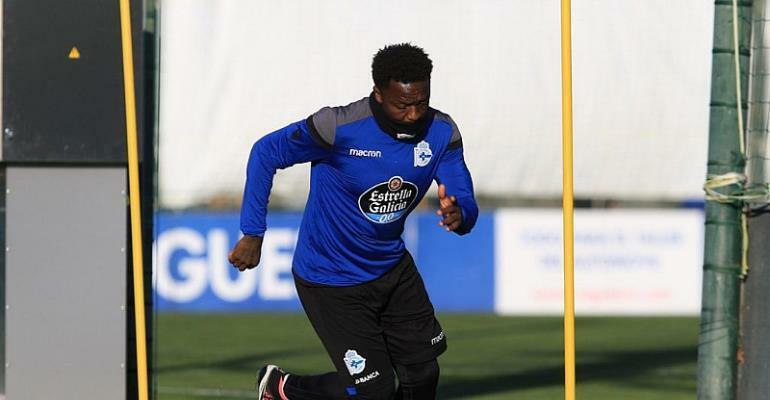 Deportivo La Coruna could hand Muntari a better deal should the player impress in his short stay with the Club.